Marriage Dates 2018: Plan Your Wedding Now! If you are all set to get married and just can’t wait to start your planning, I am guessing that you have the most important element ready with you, the auspicious marriage date. The right wedding date is a very critical part for the bride and the groom side. 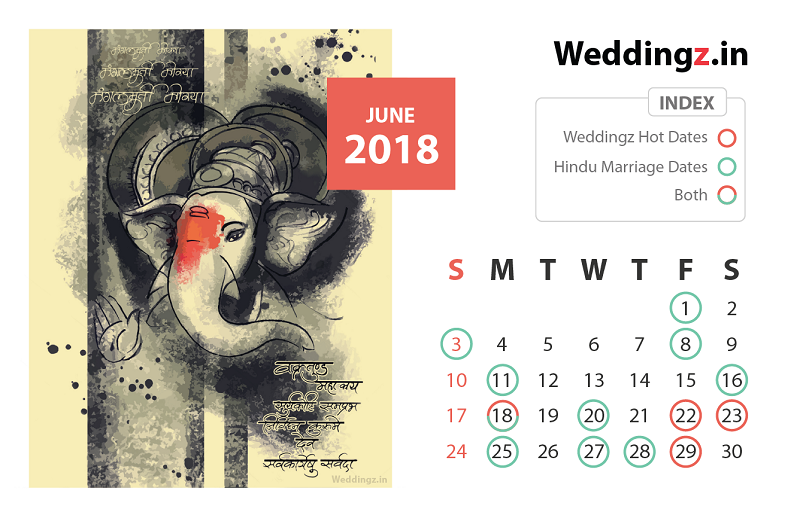 Earlier we had compiled a list of Auspicious Hindu Marriage Dates for 2017 – 2018 and here we are again with a fresh compilation of vivah muhurat dates or saya dates for 2018!! 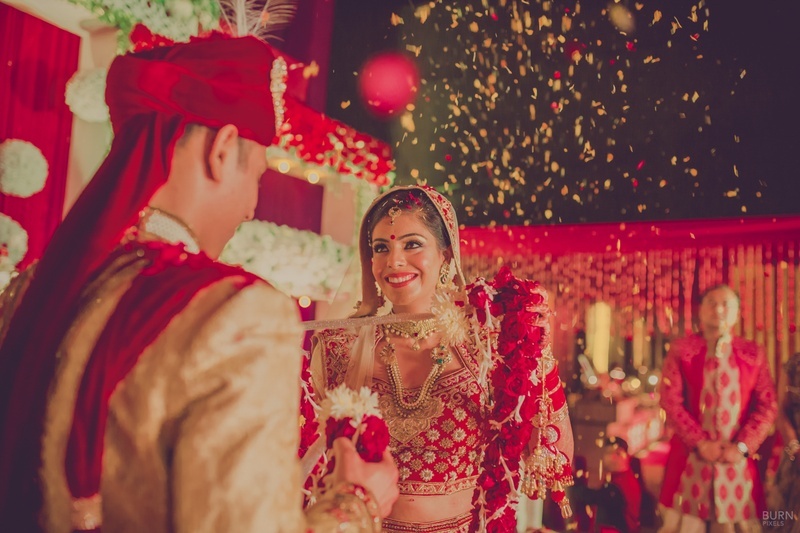 As we have already discussed earlier that Vivah Mahurat or Saya Date is decided by considering various factors like the birth chart or janam kundali of the bride and the groom, the panchang or the Hindu Wedding calendar as well. These are the dates that are highly in demand and we have many happy customers who have booked their favorite venue for these dates! Importance of vivah muhurat dates or saya dates! There are multiple factors that affect the success and outcome of your endeavours that are so close to our hearts. As per our beliefs if we purposefully select the right time/muhurat and place to conduct a specific actions or major event, it increases the likelihood of attaining the desired outcome. There are various factors that should be considered before commencing a task; Time being an important one should be prioritised. Timing is everything. If you are in the right place, at the right time to do the right thing, there’s no stopping you from achieving what you want. Marriage is one such important decision of your life and one should surely consider the marriage dates that are auspicious for tying the knot. We know us millennials don’t really believe in such but what if say “weekends”. Yes, you got us, 2018 has many auspicious marriage dates that fall on the weekends. Here we bring to you the dates that are auspicious as per Hindu Calendar and also the dates that are seeing numerous booking at Weddingz.in! If you want your wedding to be a colourful one, what better time to celebrate it if not during Holi time. March has various auspicious marriage dates and you can plan holi-themed weddings while you are still bhangover! Check some great ideas from this Holi Themed Wedding ! Yes, April is the month we were talking about. It has weekend vivah mahurats dates and is the perfect one if you have a long guests list. You can also plan a destination wedding in this month and provide a getaway to your guests! No, destination weddings are not always expensive, it’s just a myth! May, perfect for a summer wedding, again has multiple marriage dates. You can plan you dream wedding at the perfect Five-Star venue with a poolside for cocktail events. Check out some great options on these marriage dates for destination venues here! Those who are not in a hurry and have enough time for planning can opt for this month and I bet you get some of the best deals available! November again gets you in the mood of celebrations and has less options for auspicious marriage dates as per Hindu Calendar but our clients beg to differ and have booked these dates for their events! The ultimate wedding season in India 2018, December. This is one month that is always in demand and we already have hundreds of customers who have booked their favorite venue for their favorite month. You have the best dates to get married in 2018 and also the astrologers to always guide you right! So, what are you waiting for? We hate saying no to our customers so don’t be late and book your venues now!